In all honesty, out of all the cheesecakes that I’ve made thus far, this is probably my favorite one. And you know that this is not something I would say lightly… While I could never really elect ONE as my official favorite, but I can definitely affirm that this one would make it to the top 3! 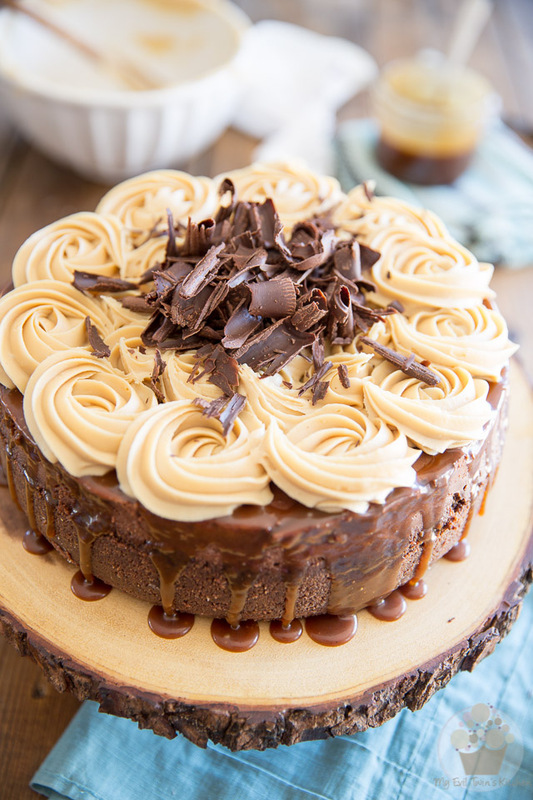 Everything about this cake is absolute perfection. There’s just no other way to say it. 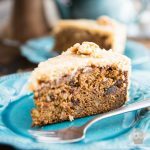 The texture, the flavors, the balance of said flavors… quite simply, this cake totally qualifies as food of the gods. 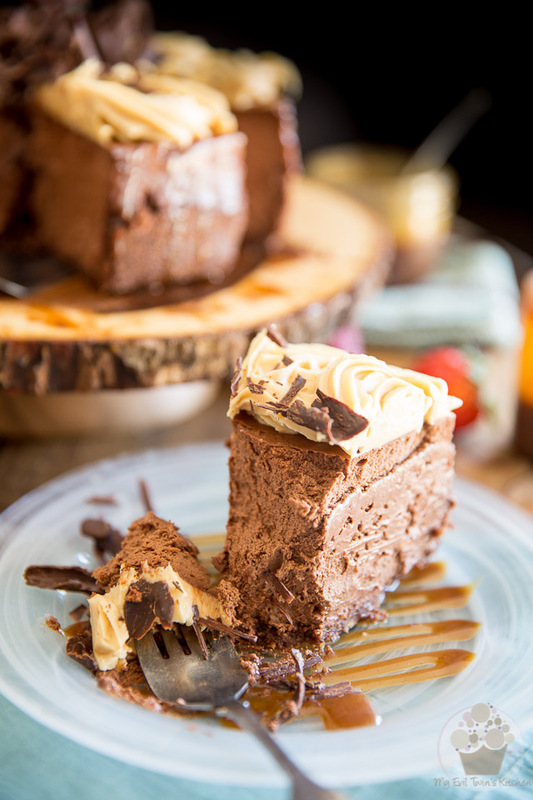 Just one bite will send you straight to 7th heaven; imagine what the whole slice will do to you! 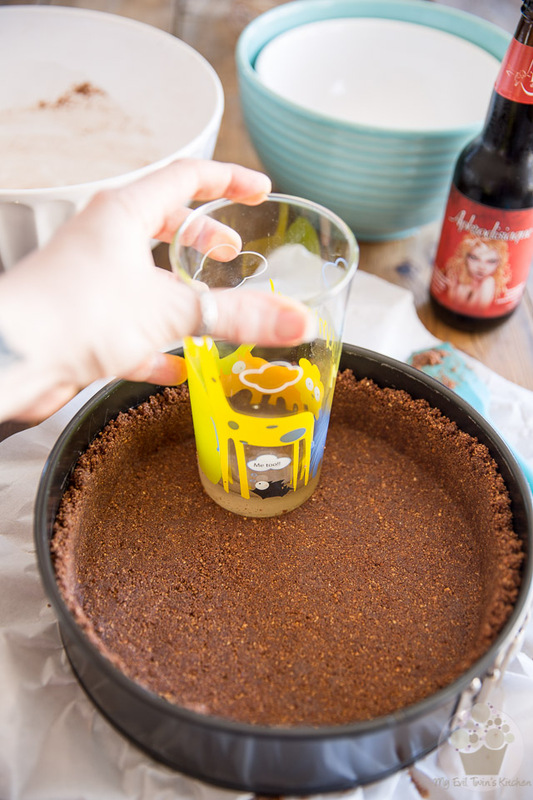 If you are skeptical about adding beer to a cake, don’t be! You won’t be able to taste it much at all. 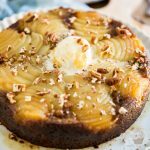 Rather, you will find that it complements the flavor of the chocolate to the absolute perfection, and that it adds little hint of mystery to the overall flavor of the cake. Plus, you will not believe the amount of creaminess that the stout confers to the cheese filling. I don’t know exactly what it is that causes that miracle to happen, but it does, and it’s a beautiful thing. That’s all I need to know. Now exactly what brand of stout should you use? I say go with your favorite! While most recipes that call for stout will have you reach for Guinness, there are many, many different breweries that brew a very decent stout out there, and lots of ’em much better than the famous, aforementioned Guinness we all are so familiar with. Me? I chose to use Aphrodisiaque, a cocoa and vanilla stout brewed by Dieu du Ciel, my favorite local micro-brewery. 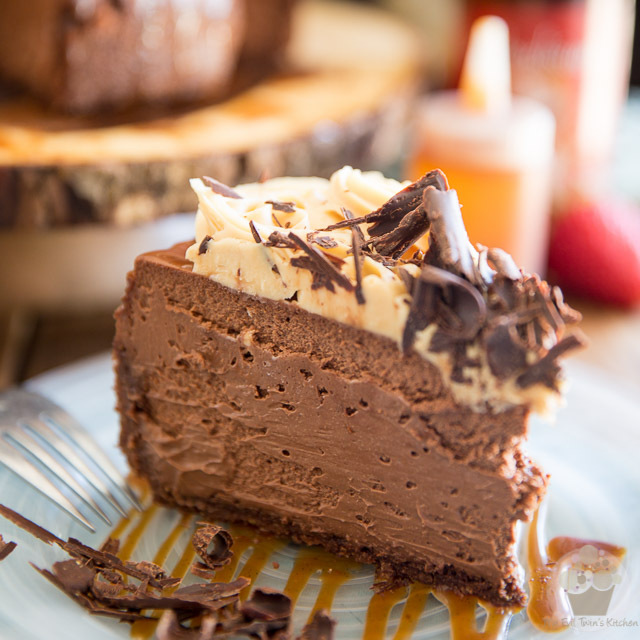 Its flavor profile, offering dark chocolate, bourbon and roasted malt tones, as well as the gentle hit of sweetness from the vanilla, harmonizes really well with the richness of this decadent cheesecake. What a perfect selection it proved to be! To finish off this chocolate/stout combo, I couldn’t think of a much better match than Irish Cream liquor! 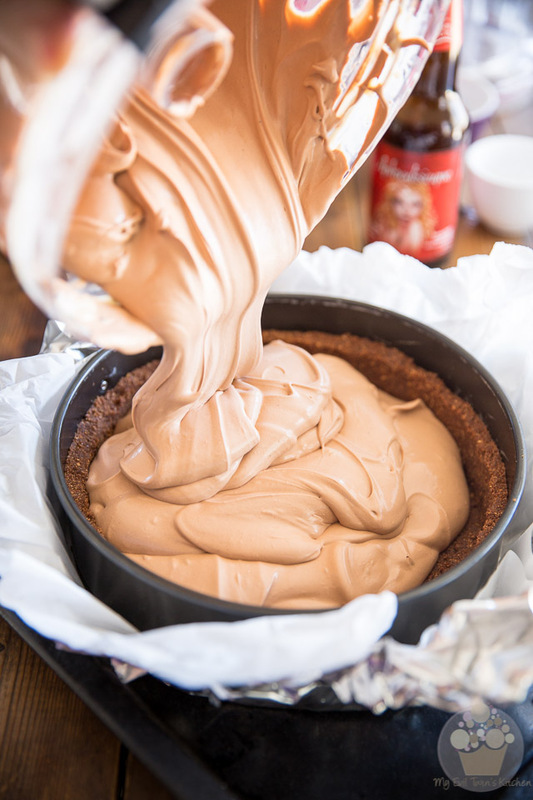 So I chose to make a delicious White Chocolate Bailey’s Ganache that is sooooo booze-y, you’ll definitely be able to taste the Bailey’s in that baby! 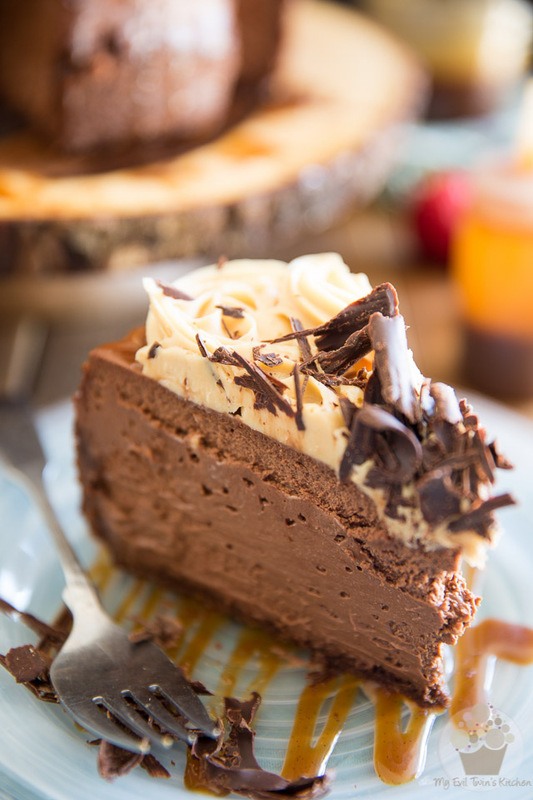 And the fudgy texture on this thing… OMG! This stuff is so good, I think it would actually deserve its own post! 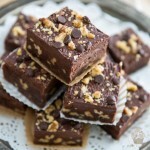 In fact, I’m thinking of eventually turning it into a fudge of some kind… Really, it’s that good! But for now, I think that it’s perfect exactly as it is, acting as a pretty, swirly crown for this stunner of a cake. 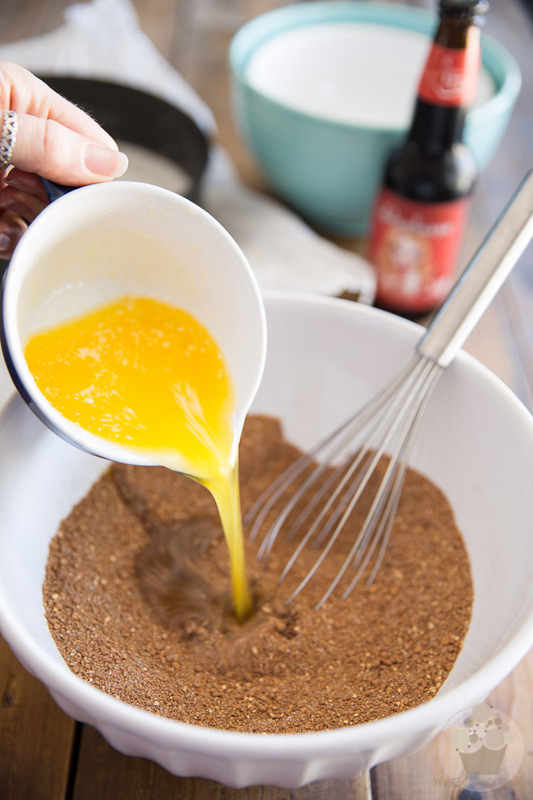 Combine the graham cracker crumbs, granulated sugar, cocoa powder and melted butter together in a large mixing bowl. Mix until well combined and transfer to the prepared pan. To make the forming of the crust easier, start by spreading the mixture fairly evenly across the pan with a rubber spatula, while pushing more towards the edge of the pan, where the crust will be climbing up the ring. Then press the mixture firmly at the bottom and about 3/4 of the way up the side of the pan with a flat object. I find that a flat bottomed drinking glass is the best tool for the job. In fact, if you’ve seen me bake a cheesecake before, I’m sure that you are familiar with my super cute and beloved giraffe glass. I’m telling you, f I ever break that adorable little guy, I’ll be devastated! 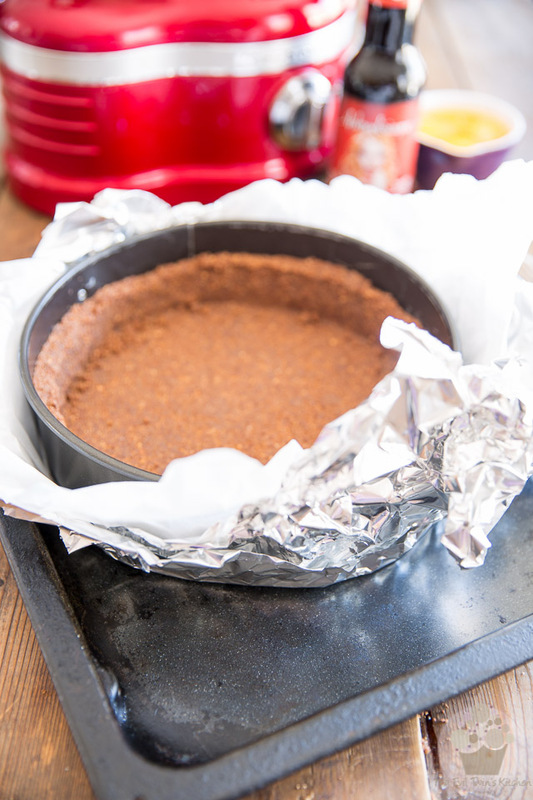 When your crust is all good and ready, place the pan over a piece of aluminum foil and fold the foil over the pan so its exterior is completely covered; this will prevent water from getting into the pan later. Now place this rig into a broiler pan and set aside while you work on the filling. Preheat your oven to 350°F and bring about 4 cups of water to the boil; you’ll be using it later to make a bain-marie for your cake. 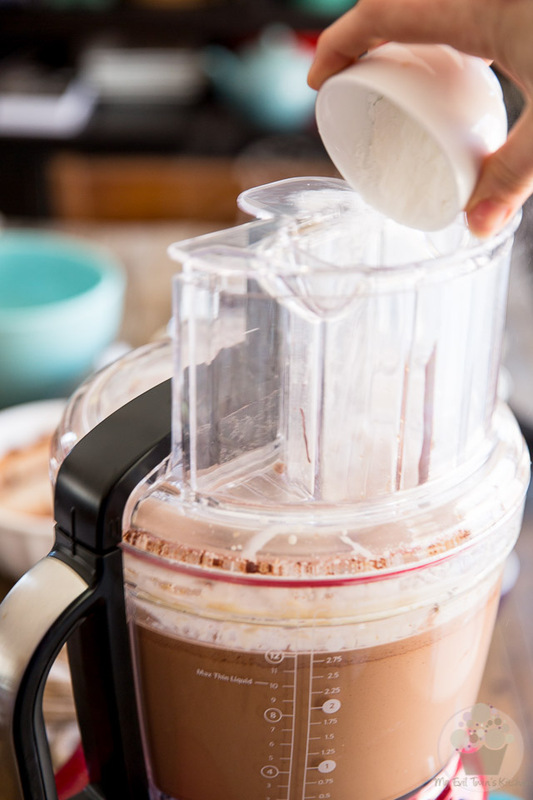 Combine the cream cheese, sour cream, sugar, vanilla extract and salt in the bowl of your food processor. 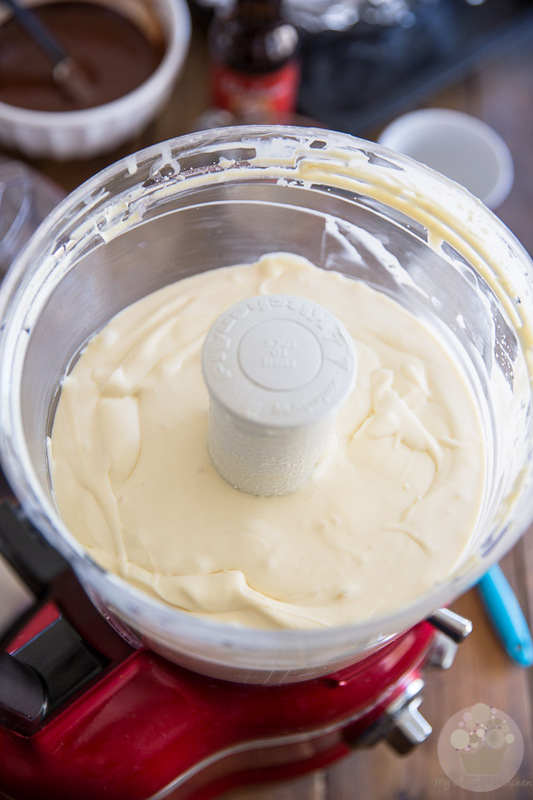 Process until the mixture is super smooth and creamy and completely lump free, about 3 minutes. Stop the motor to scrape the sides once or twice to make sure every last bit gets incorporated. …and resume processing until they are well combined, about 1 minute. While the motor is running, pour the melted chocolate through the feeding tube and process for about 30 seconds, until it’s well incorporated. … and then finally, add the corn starch in the same fashion. 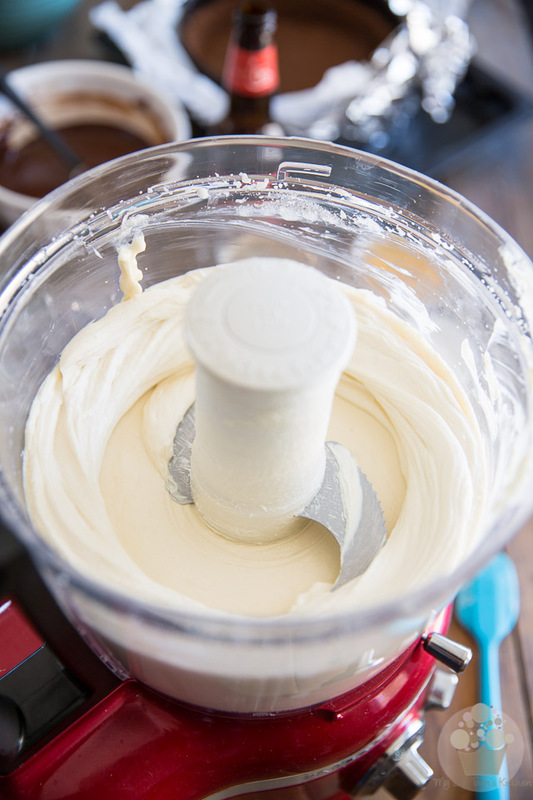 Give the filling a final spin, about 30 seconds, just to make sure that all the ingredients are well blended together. 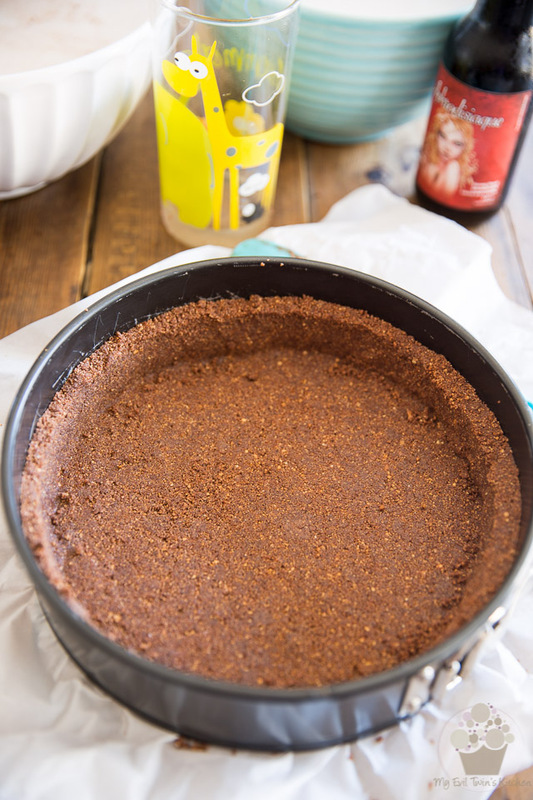 Pour the cheesecake batter into the reserved crust. But I was a good girl and only left a few tablespoons at the bottom of the bowl to indulge later. Besides, there was no more room in the pan, so I had a good excuse! As you can see, the pan was filled to the rim!!! Okay, okay, I probably could’ve afforded to add those last few tablespoons, but I didn’t feel like living dangerously. Besides, who doesn’t enjoy licking bowls clean? Personally, I think it’s my favorite part of baking! And then delicately pour enough boiling water into the broiler pan so it goes up about 3/4 of the way up the side of said pan. Place that entire rig onto the middle rack of your oven and bake your cake for 25 minutes at 350°F. 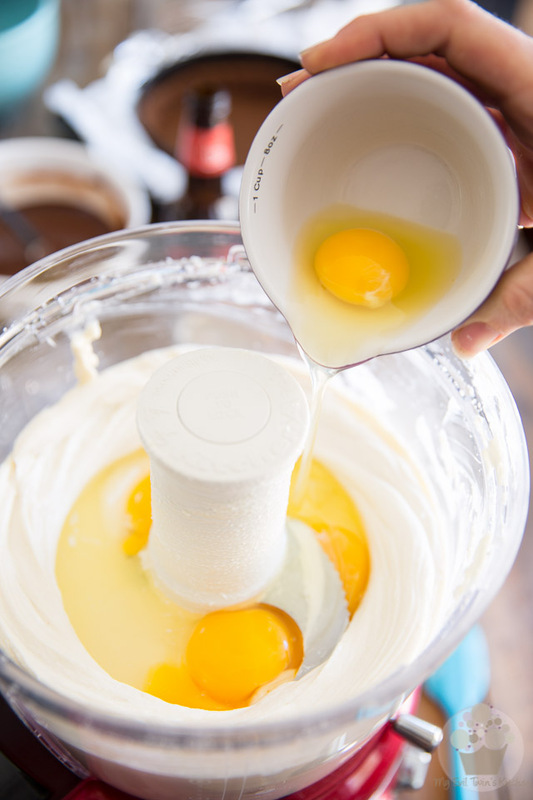 Then, decrease the temperature to 250°F and continue baking your cake for another 65 minutes. While your cheesecake is in the oven, combine the finely chopped white chocolate, Bailey’s liquor and butter in a microwave-safe bowl. Cook that in the microwave for 1 minute, allow the mixture to rest for 1 full minute and then stir delicately for 1 full minute. At this point, the ganache should be completely smooth and well combined, but if there were still lumps remaining, repeat the above process again but for no longer than 20 seconds this time. 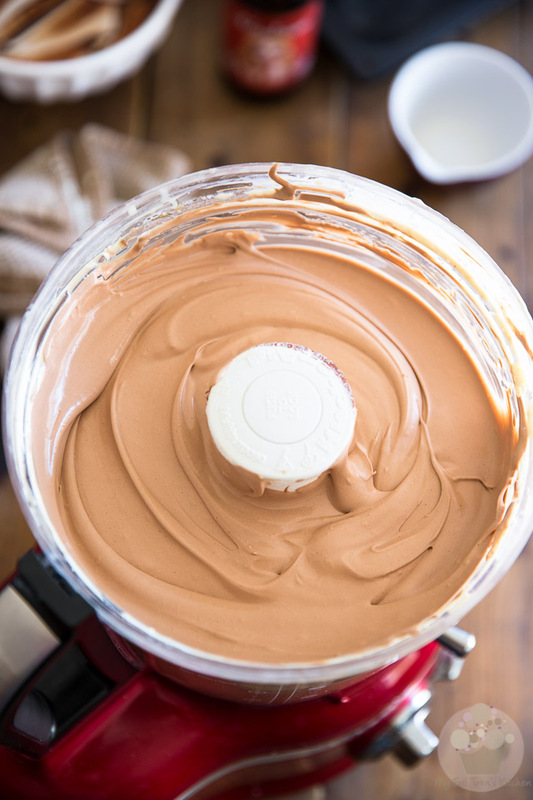 Stir until the ganache is smooth and silky. 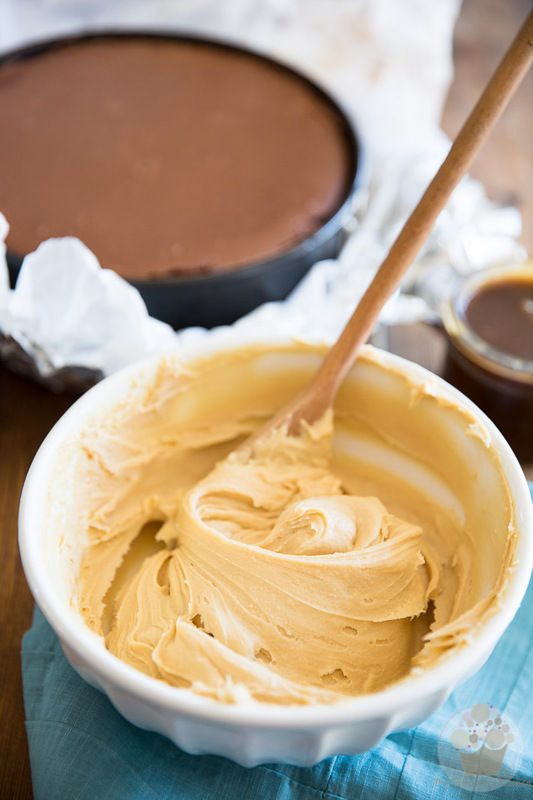 Cover your ganache and let it rest at room temperature, stirring from time to time, until it has the consistency of cake frosting, about 6 hours, depending on ambient temperature. 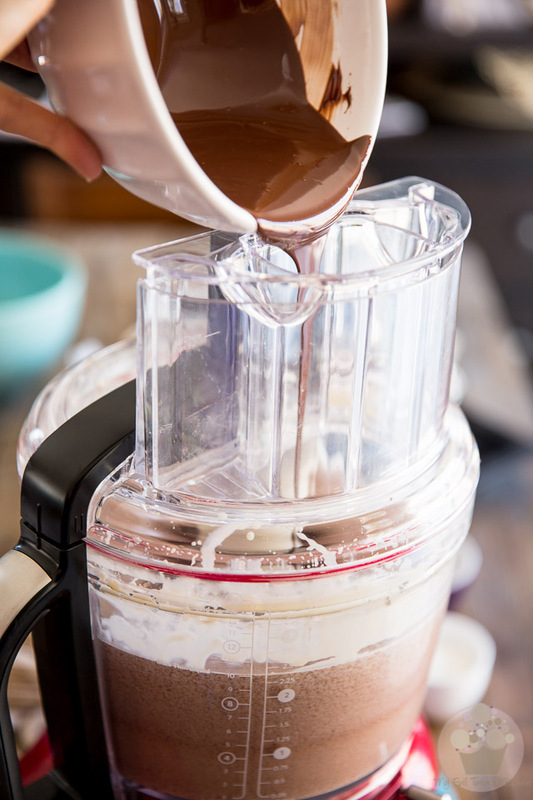 You could speed up this process if you needed to by placing the ganache in the refrigerator, but make sure to stir often if you choose to do that. Oh, and I strongly suggest that you do not taste this until ready to use, otherwise there might be none left by the time you get to decorate your cake… That stuff is seriously yummy, AND addictive! 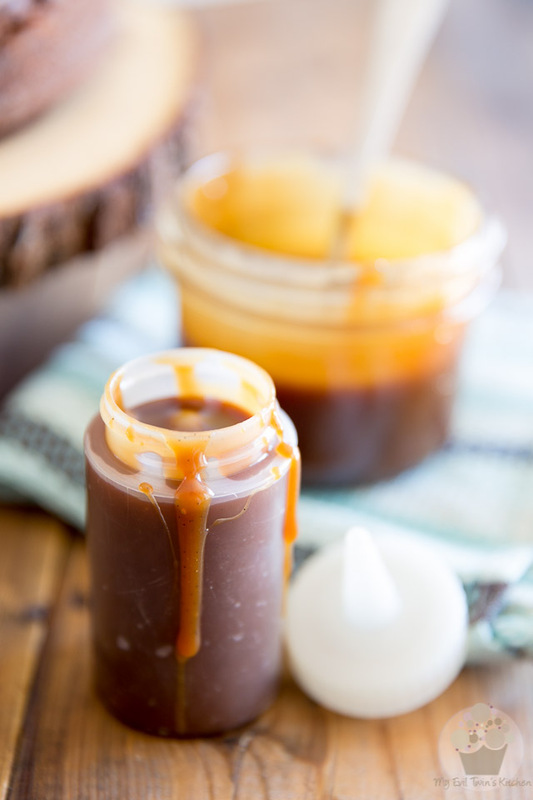 If you want to make your own salted caramel sauce, make sure to do that ahead of time so it has ample time to cool, at least 2 hours. And here, let me share a little secret with you that only those who read the actual post will ever know about: if you want to kick that caramel up a notch, use 3/4 cup stout (that’s about what should be left in the bottle after making the batter) and 1/2 cup heavy cream instead of the 1 cup of heavy cream that the original recipe calls for. Then, increase the final cooking time to 3 minutes instead of one, to allow excess moisture to evaporate. 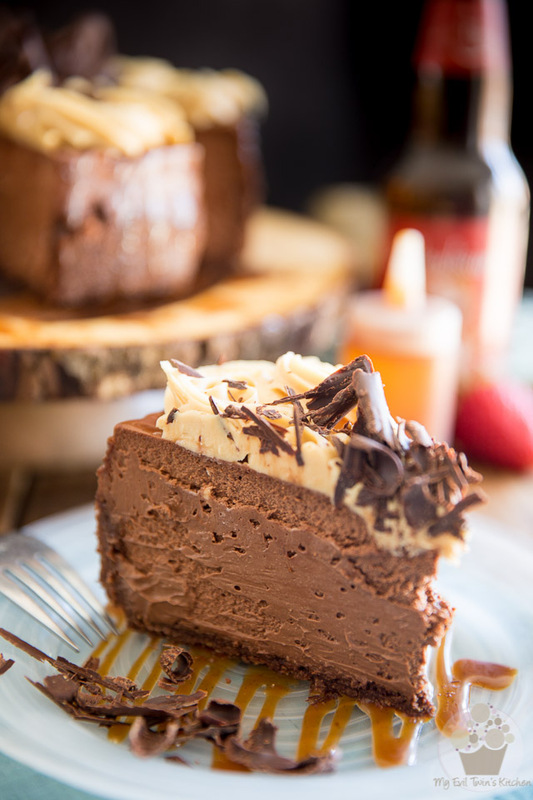 You’ll be left with the most delicious stout caramel you’ve ever tasted in your entire life. If you’ve ever had stout caramel before, that is. It’s pure bliss, let me tell you! 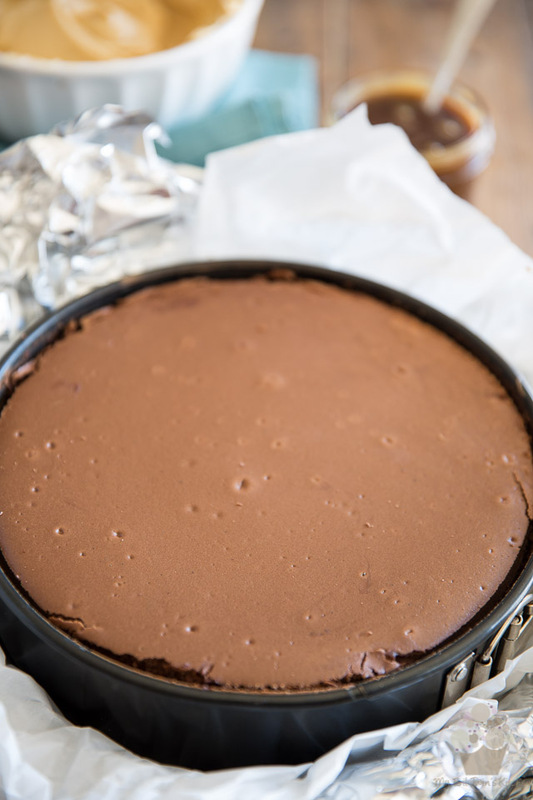 When you are good and ready to assemble your cake, take it out of the fridge, run a spatula or butter knife along the edge of the pan and carefully remove the ring from around the cheesecake. 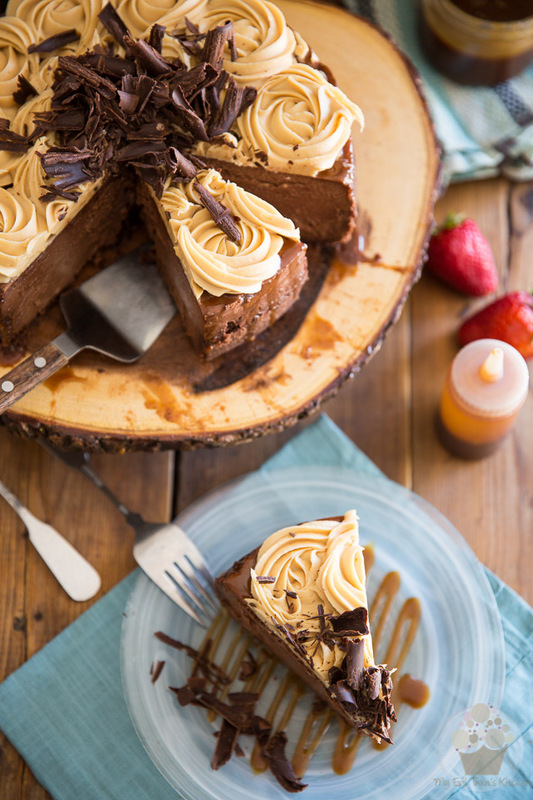 Then, place your cake on a cake board, plate or stand. 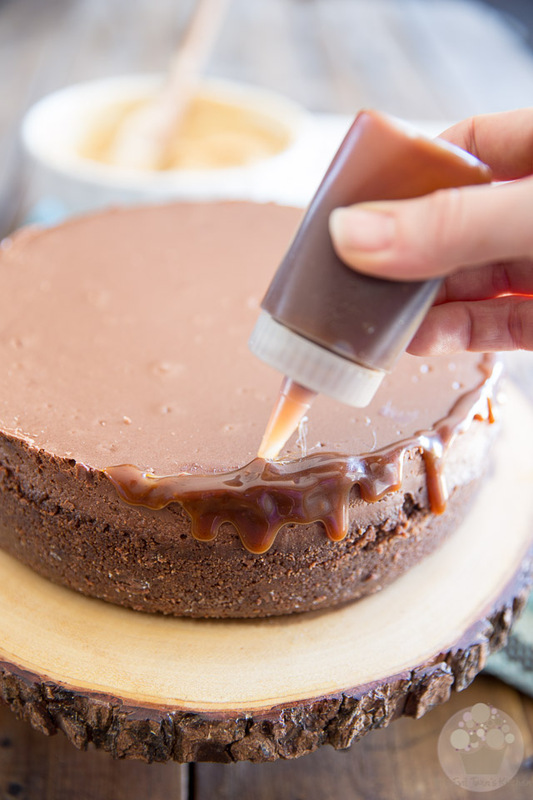 Put the salted caramel in a squeeze bottle and squeeze some of it all around the edge of the cake so it gets to drip down the sides. Next, put the now fudgy white chocolate Bailey’s ganache in a pastry bag bag equipped with a medium open star tip) and cover the entire top of the cake with generous swirls of delicious ganache. Finally, mound a generous amount of dark chocolate shavings in the center of the cake. 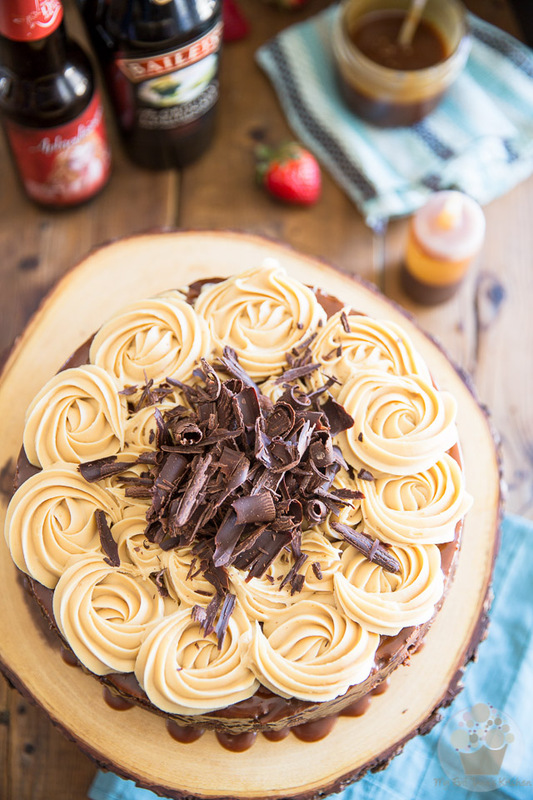 To learn how to make the chocolate shavings, check out my Black Forest Cake recipe. It’s fairly easy, you’ll see…. And that’s it, you’re all done. Just wait ’til you get to taste this baby. You’re in for a serious treat. But for now, just send it to the refrigerator until ready to serve, aka pay a visit to the angels in heaven! Because I don’t know about you, but I can’t get enough of this one. I could look at it and drool for hours! 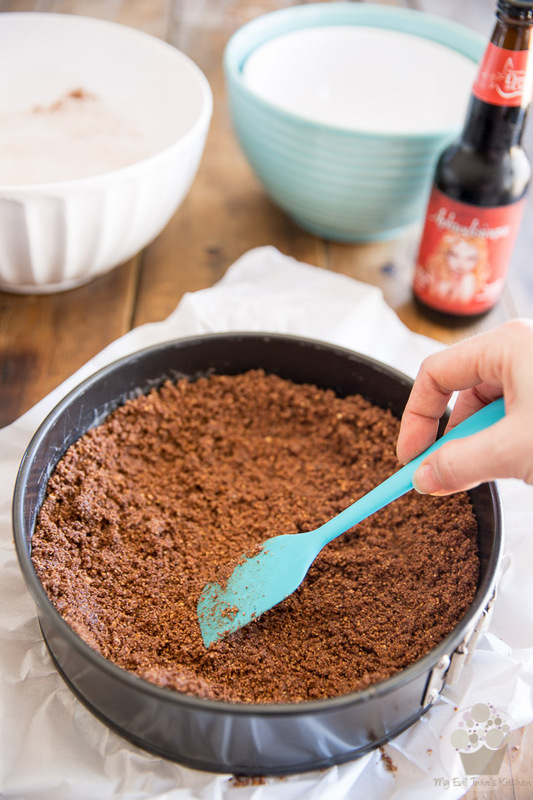 Combine the graham cracker crumbs, granulated sugar, cocoa powder and melted butter in a large mixing bowl. Mix until well combined and press firmly at the bottom and about 3/4 of the way up the side of the prepared pan. 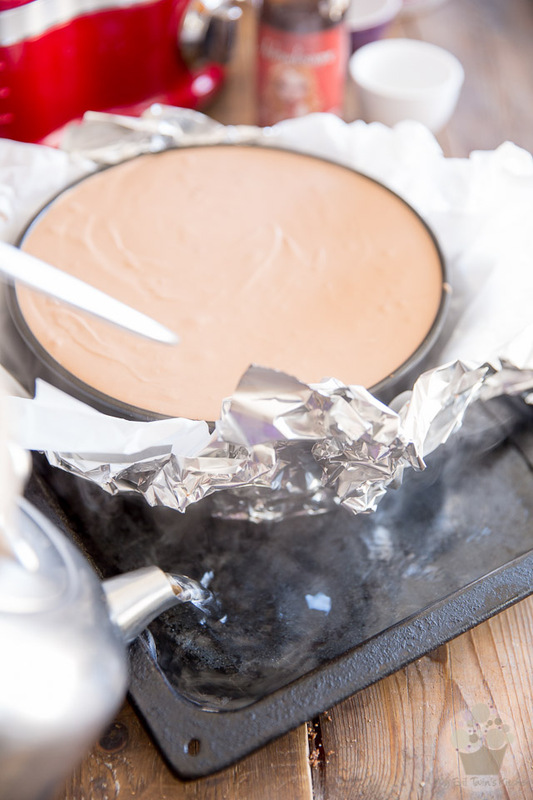 Place the pan over a piece of aluminum foil and fold the foil over the pan so the exterior is completely covered; this will prevent water from getting into the pan later. Now place this rig into a roasting pan and set aside. Preheat your oven to 350°F and bring about 4 cups of water to the boil; you'll be using it later to make a bain-marie for your cake. Pour the melted chocolate through the feeding tube while the motor is running; process for about 30 seconds, until well incorporated. Stop the motor, scrape the sides well, add the beer in the same fashion, followed by the corn starch. Give the filling a final spin, about 30 seconds. Pour the cheesecake batter into the reserved crust, then delicately pour enough boiling water into the roasting pan so it goes up about 3/4 of the way up the side of said roasting pan. Place that rig onto the middle rack of your oven and bake your cake for 25 minutes at 350°F. Then, decrease the temperature to 250°F and continue baking your cake for another 65 minutes. 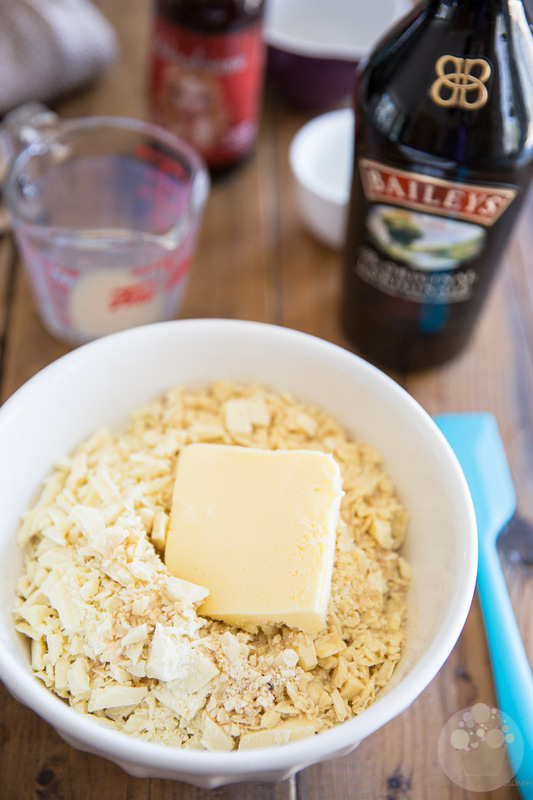 While the cake is in the oven, combine the finely chopped white chocolate, Bailey's liquor and butter in a microwave-safe bowl. Cook in the microwave for 1 minute, allow the mixture to rest for 1 full minute and then stir delicately for 1 full minute. At this point, the ganache should be completely smooth and well combined, but if there were still lumps remaining, repeat the process again but for no longer than 20 seconds this time; stir until the ganache is smooth and silky. Cover and let rest at room temperature, stirring from time to time, until it has the consistency of cake frosting, about 6 hours, depending on ambiant temperature. 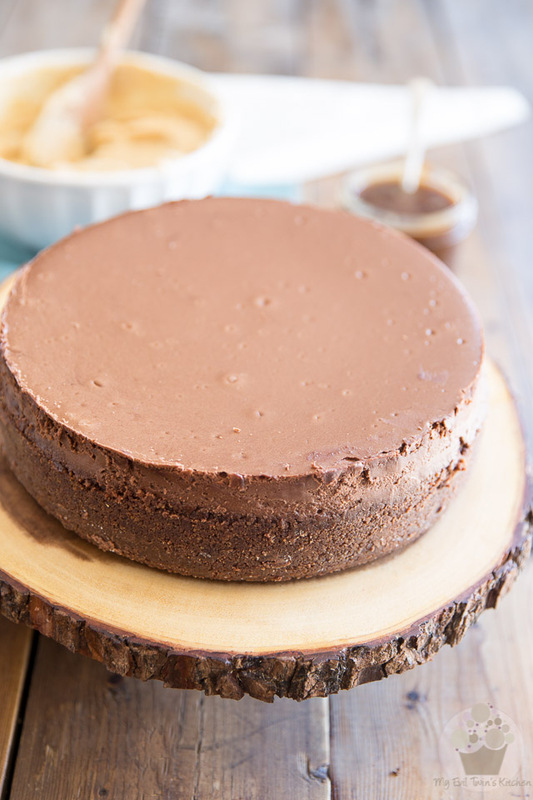 You can speed up the process by placing the ganache in the refrigerator but make sure to stir often if you choose to do that. 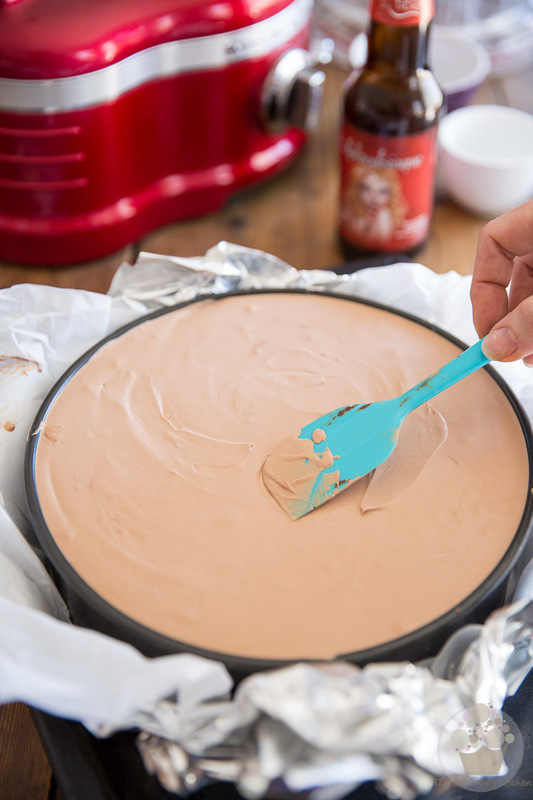 Run a spatula or butter knife along the edge of the pan and carefully remove the ring from around the cheesecake; place your cake on a cake board or plate. 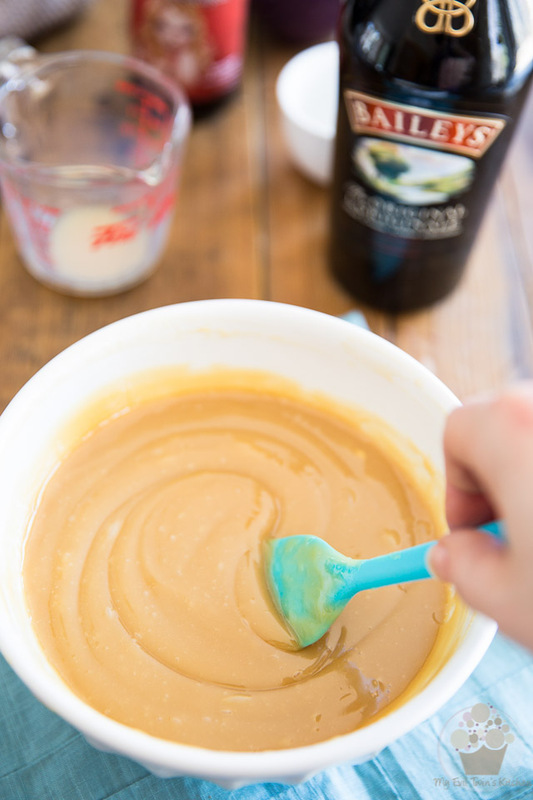 Put the salted caramel in a squeeze bottle and squeeze it all around the edge of the cake so it drips down the sides. 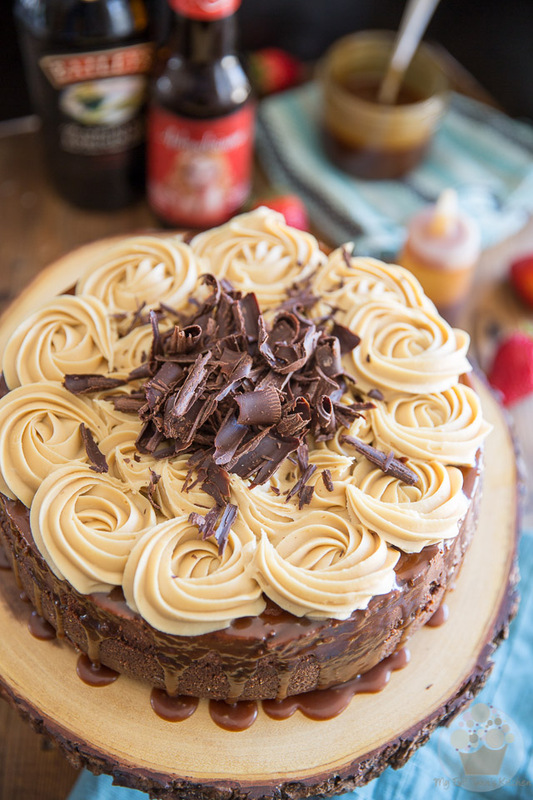 Put the now fudgy white chocolate Bailey's ganache in a pastry bag bag equipped with a medium open star tip) and cover the entire top of the cake with generous swirls of ganache. Finally, mound a generous amount of dark chocolate shavings in the center of the cake. 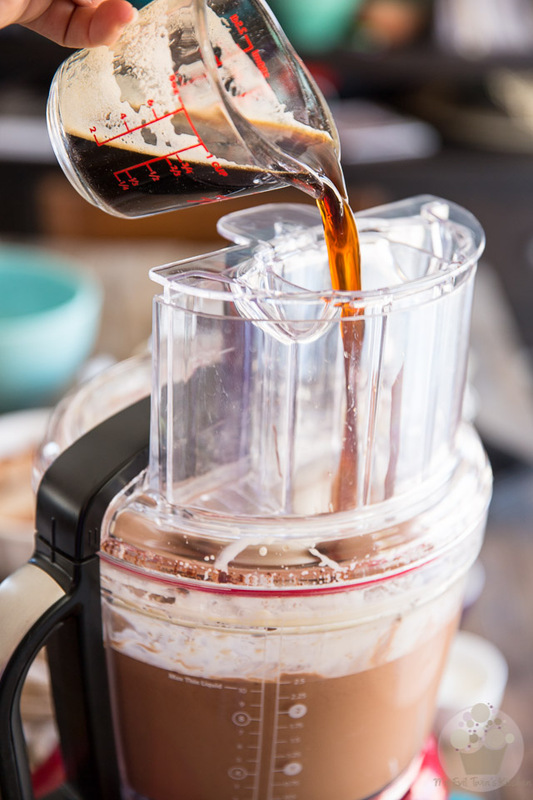 *If making your own salted caramel, make sure to do it ahead of time so it has ample time to cool, at least 2 hours. Or, use your favorite ready-made caramel sauce. Sonia, this looks amazing! I have done cakes with beer before, but not like this. I will definitely pin this. For sure there will be an occasion to make this. Thanks! Hi Sonia, tried your lemon cheesecake and it was so fantastic that this was next on the menu. Just a note – the cheese filling section mentioned 1 cup of sugar, but the method did not. I’m unsure about which one was correct, so put half the sugar in! Oh my! I am so sorry about that! As a general rule, the list of ingredients always prevails! I simply forgot to “add” the sugar when I put the method in words. You should be fine with your half cup, though. Good call on your part. Hope you like the cake; please be sure to share your thoughts. I made this cake on Thursday (8/30/17) for a family friend’s birthday and it was an ultimate success! No cracks, it was perfect. I even made the stout caramel you suggested and it was marvelous, we had so much extra, we are saving it to drizzle on some ice cream. Yum. Instead of making the white chocolate ganache, I used some dark chocolate and made a nice chocolate cage on top for decoration. 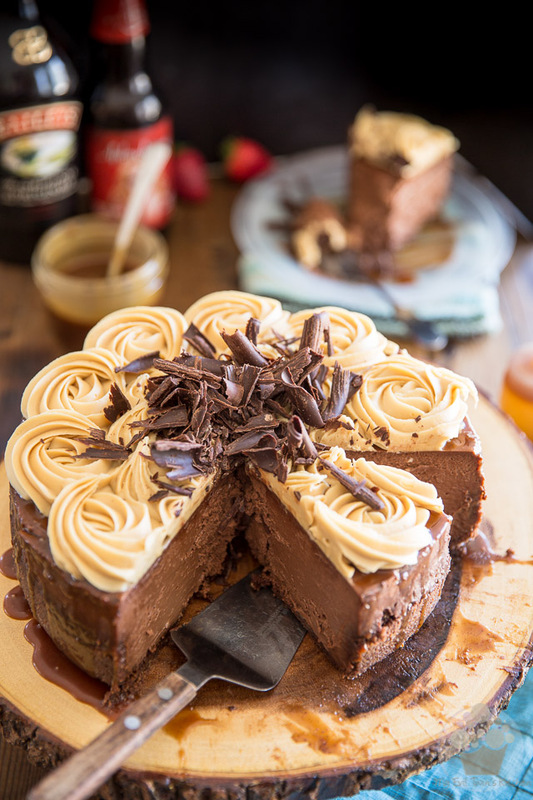 The stout was a delicious pairing with the chocolate in the cake, thank you so much for sharing this recipe! You truly are a master in the kitchen! So very happy to hear that the cake was a success, Malia! And thank you so much for the kind words and great feedback, too! I sincerely appreciate it! 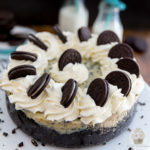 Hi Sonia, this looks amazing, I gona try it for my little brother’s birthday, but I don’t want to use the beer, do you have any suggestion of what to use beside it? I think that strong coffee would do the trick Tanya. 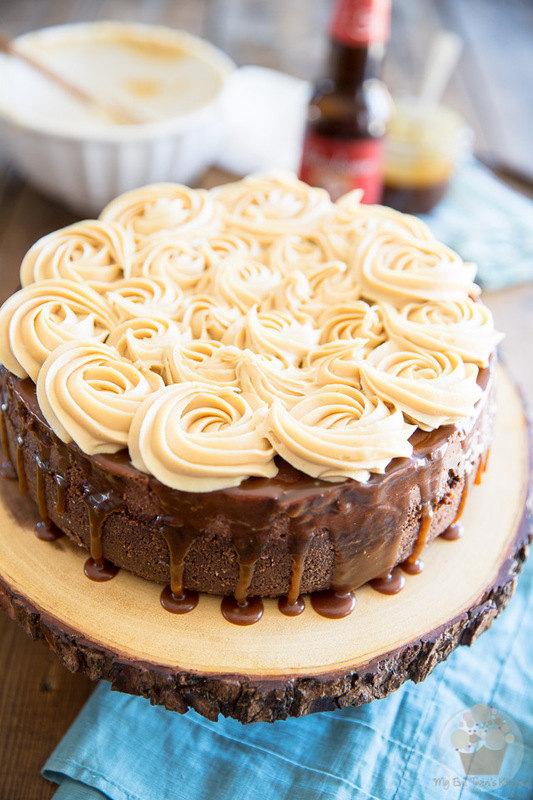 I finally made this beautiful and tasty cheesecake for my brother’s birthday and I can’t tell how much everybody loved it, there was no left over, it was the first time I tried making salted caramel and I did it from the first try thanks to your detailed instruction. My beautiful attempt is cooling in the oven as I write this. I’m reading ahead and am not sure whether there is a secret to removing the parchment? When I remove the ring tomorrow after it sets in the refrigerator tonight, any tips on that technique? 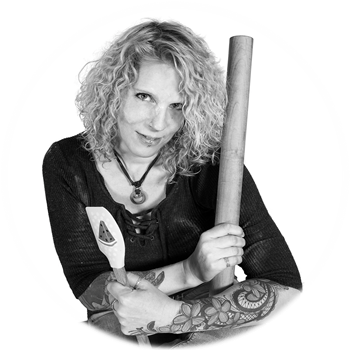 After you remove the ring, you just lift the cake off the paper with an offset spatula, slide your hand underneath and transfer the cake to a cake plate while supporting it with your hand.